Jason Hernandez said he and Moira are planning to have two honeymoons - one in the Philippines and one abroad. 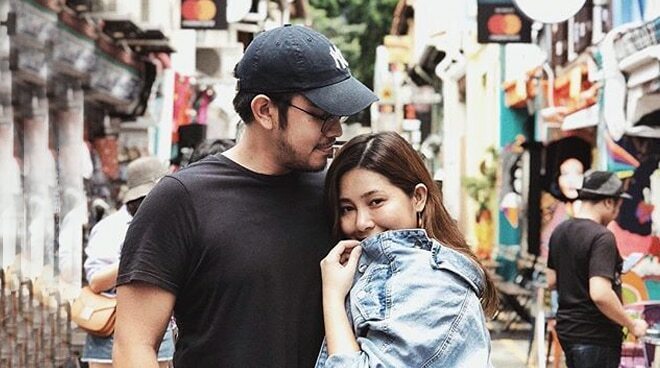 We see Jason Hernandez time and again bless our timelines with amazing covers alongside his fiancee Moira Dela Torre. And while he has just released the song he penned for Moira back in July, it is only last Thursday, September 27, when Jason officially sealed his name as a recording artist after he was launched as one of Cornerstone Music’s fresh new artists to watch out for. According to Jason, it is only a matter of time before his fans get to hear his next single as it will be released in a just a few months’ time. “It’s called Panggapan. I’m planning to release it late this year. So around November. Sa birthday ni Moi. Around that season,” he said. But just when we thought it would take some time before a project after his next comes out, Jason said he and Moira wrote a four or five-track EP in time for their wedding. “Actually we’re gonna release a four or five-song EP for our wedding. So ‘yun ‘yung parang magiging giveaway namin sa mga guests namin,” he said. With their wedding getting nearer and nearer, Jason revealed that he and Moira are planning to take a three-week break from work for their honeymoon. “Plan namin to go to Palawan after the wedding. So we’ll just chill there, write some songs, honeymoon and then a week after, we’re planning to, it’s either US or Europe. We’ve always wanted to take a trip to Europe eh,” Jason stated.